It seems like people all around me are making strides to become more healthy...and I love it! I am so passionate about living a healthy lifestyle. The Bible tells us our bodies are a temple, and I take my responsibility in treating it as so very seriously. 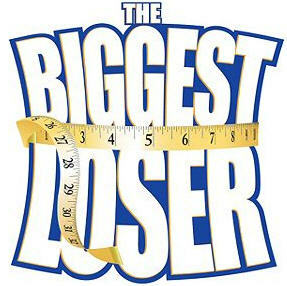 We are having a Biggest Loser competition at school, and over 50 teachers and staff members are participating! It's awesome!! 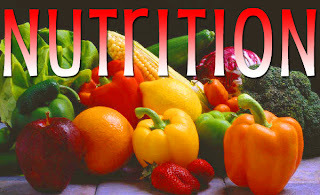 In talking with many of the Biggest Loser participants, I have come to realize that many people simply do not know how to eat healthy, what foods to choose, etc. Although it does matter calories in vs. calories out for weight loss, it should be about a truly HEALTHY lifestyle, not just calories in or points. I believe in a balanced, clean diet to promote overall health and well being. I always encourage people to do research and begin eating as clean as possible when trying to lose or maintain weight. I have absolutely loved what it's done for my mental clarity, my body, energy, skin, hair, nails, etc. Don't get me wrong- I do cheat....I eat pizza, frozen yogurt, and chips and salsa sometimes, but not all the time. And I do put as many fresh, whole foods into my body as possible. *We do have salt, but I NEVER use it....it just came with our "salt & pepper shakers" we received as wedding gifts. Therre is enough salt in our food....we don't need to add any extra! 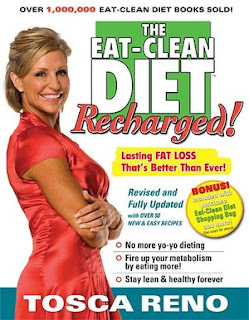 Yep, not even on eggs, raw veggies, or cooked meals. I guess this may sound extreme, but Jonathan and I have both trained ourselves to eat this way and figured out ways to make these foods FUN & yummy!! It is totally possible- for anyone. Jon used to eat out all 3 meals a day (fast food), have high blood pressure and regular heart burn. Cleaning up his diet took care of all that, and along with working out he has completely changed his physique in the time I have known him. My body has changed as well, and I have maintained a consistent weight & size (that I am happy with!) for the past year and a half. We both have GREAT numbers (blood pressure, cholestorol, healthy weight & body fat percentages, etc.) and feel great eating this way. 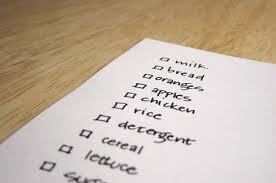 Like I said, we do cheat, but this is what I keep in our home to make sure we are both as healthy as possible. It's not always easy to be disciplined, but I LOVE eating this way and am so thankful I have a hubby who is on board. I hope the list helped you or gave you some ideas!! lol....girl,you're so funny!! WW is a GREAT started program to get you motivated & get the pounds coming off....teaches a lot about portion control & the importance of fiber and protein. i know you're going to ROCK it!! (although, you already look G-R-E-A-T!!! )i'm not familiar with the new program, but def sounds better! that was my one issue with it before- that people could eat pizza, ice cream, and a doughnut all in one day as long as they stayed within their point range! and i am totally a candy/sweets girl, so i can totally relate! keep me posted on how it is going for ya. and remember, it's okay to just lose a little each week (so don't get discouraged)- it stays off better when you do it like that! p.s. i'm totally jealous of your garden and all those fresh veggies!!! Hello! One of your newest followers! Congrats on your precious new baby, he's adorable! I'm loving all of your health & clean eating post! I recently got married & things are finally starting to settle down for us so I'm excited to get back to eating healthy & working out! Can't wait to read more of your blog!